Having established Maria Kiang Chinese Art in 2006, Maria Kiang has developed an international reputation as one of the leading specialists in Chinese antiques, notably for her discerning taste in literati and Imperial scholar’s objects, Buddhist art, jades, Song ceramics, and various works of art which she exhibits at major international fairs, such as Fine Art Asia in Hong Kong and TEFAF New York. 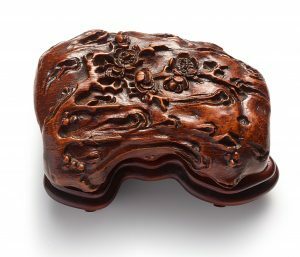 She has worked with numerous important collectors and various museums around the world, receiving great acclaim for her understanding of Chinese antiques as well as her discovery of rare and unique works of art. Maria Kiang Chinese Art produces a catalogue every year exclusively for Fine Art Asia, presenting elegant objects for the scholar’s desk. The scholar’s studio was for centuries a place of creation and a refined expression of Chinese taste.